On June 1st Vikings around the globe will unite for a 24-hour fundraising blitz to support students. Together, we will impact WWU by giving to our favorite department, scholarship or program. We hope you are on this site because you are a proud alumnus, who wants to make a gift in honor of Dina Benedetti and help create a scholarship that will support future teachers for generations to come. 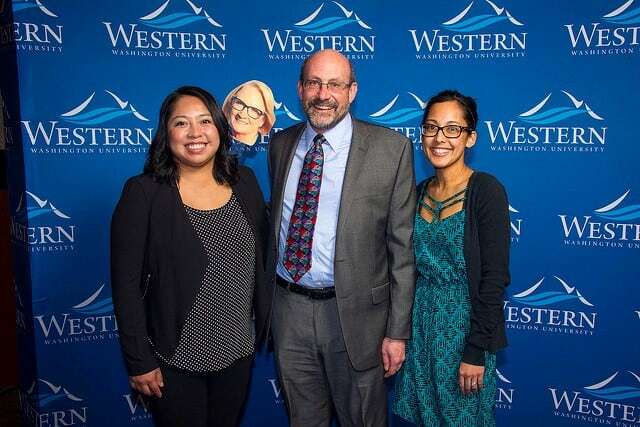 Efforts to create the Dina Benedetti Scholarship Endowment for North Seattle Students began three years ago, with the goal of creating a scholarship fund that would, in perpetuity, provide support for students who are studying for a Bachelor Degree in Education at WWU Education Center, Seattle. Currently, we have raised $17,515 and only need $2,485 to reach endowment status. In order to help us reach our goal, Tom and Rebecca Pouliot have generously offered to match up to $1000 of any gifts made on June 1st. Once this specific challenge is met, a percentage of all remaining gifts will be matched by the WWU Give Day Challenge Fund (last year’s general pool match was 40%, so gifts of $100 turned into $140). From right to left: 2017 Benedetti Annual Scholarship Recipient, Yanessa Arebalo , Dina Benedetti (she was not able to attend this scholarship event as she is out on medical leave, Tom Pouliot (who has generously helped, along with his wife Rebecca, support awarding the scholarship on an annual basis while working towards endowment level) and Angeline Ocampo, Elementary Education Program Coordinator at the North Seattle Campus. Excellent Teacher with a Big Heart!!! 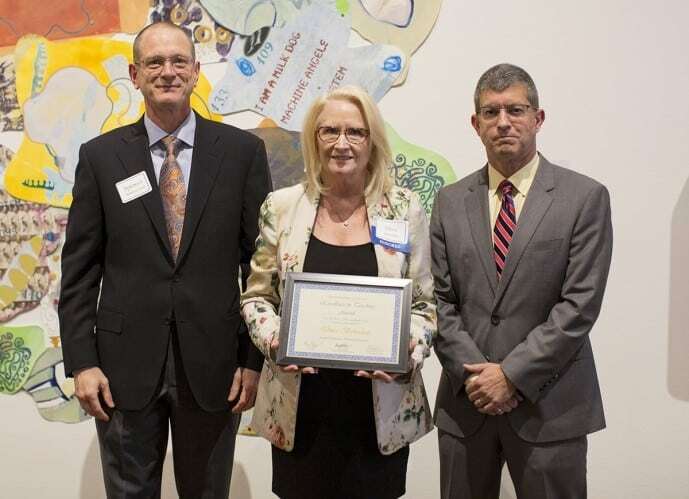 Dina Benedetti (Academic Program Director, Teacher Education Outreach Programs, North Seattle) is the 2015 recipient of the WWU Excellence in Teaching Award.